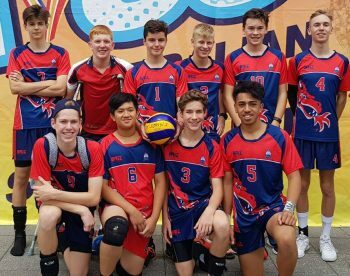 Congratulations to our St John’s Volleyball Development Team who have placed Fifth in Division 3, Year 11 at this years Australian Volleyball Schools Cup (AVSC) in Melbourne. Some excellent volleyball on display throughout the five day competition. The Volleyball Development team is made up of Year Eight, Nine, Ten and Eleven students and the program provides an opportunity for players to return to their year level TAS teams as leaders in implementing a high level system of play for 2018 TAS season.